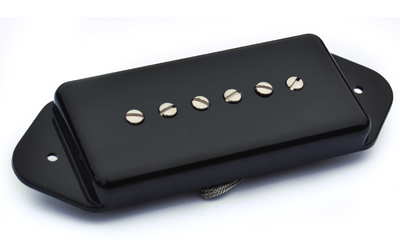 High out bridge dogear pickup paired with sweet, warm and clear neck P90 for semi hollow guitars like Gibson ES-330s and Epiphone Casinos. Loud, fat 50s tone, and more aggressive bridge P90 pickup paired with 57 neck pickup for great veratility. 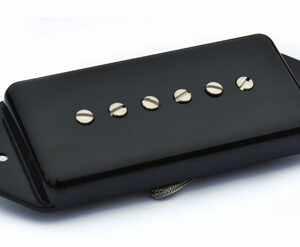 Neck pickup is sweet, warm and clear. Amazing touch sensitivity and growl with classic P90 mid range. 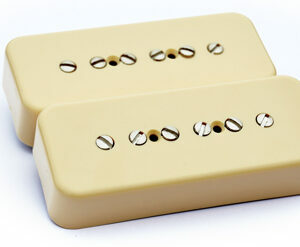 Killer upgrade for your Les Paul Standard, Special or vintage restoration. If you want Leslie West tone, this is it! Vintage correct 42 guage plain enamel wire, hand selected rough cast ALNICO magnets that are individually charged to same levels found in great sounding original examples, braided 2-conductor hookup wire. Select alloy steel used for pole screws and keeper bars.